A recent report compiled by research company HIMSS Analytics revealed that replacing pagers used by nurses could save healthcare organizations tens of thousands of dollars each year. The report centered on research conducted at 200 hospitals in the US with more than 100 beds, in which 69.9% of nurses used pagers to communicate with physicians and colleagues. Researchers found that the average cost per pager per user was $8.40 per month. Therefore pager use by nurses alone in a “Top 50” medical center in the U.S. (850 beds+) would cost each hospital around $54,835 per year. The figure would be considerably higher if physicians and personnel employed in IT departments also retired their pagers. As part of the study, researchers spoke with senior executives responsible for the selection and management of the pager systems. Many said that the “perceived reliability” of pagers was the primary factor in retaining pagers as a channel of communication, although many acknowledged that pagers had their limitations – especially when it came to slowing the cycle of communication. Compared to the channels of communication available through modern technology, the process of delivering a message to a medical professional is notoriously time consuming. When a medical professional needs to be contacted, a basic message containing no patient data is sent to their pager. The medical professional then contacts the originator of the message to determine the issue and its priority level in their current workflow. 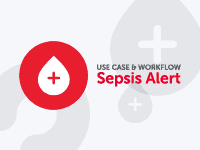 The process often results in phone tag when the originator of the message is not available and also allows for errors to creep into the communications cycle – sometimes resulting in medication errors and patient safety incidents. In an article in 2013, CNN Money described pagers as “archaic communication technology” and questioned why hospitals wasted billions of dollars each year retaining pagers as a channel of communication. CNN´s assertion that billions of dollars was being wasted was based upon research conducted by the Ponemon Institute. The Institute found that medical professionals were losing on average 45 minutes each day due to way in which healthcare information was exchanged with pagers, and that replacing pagers used by nurses with secure texting could accelerate patient discharges by 50 minutes – saving each medical facility an average of $550,000 per year. Secure texting solutions work by creating a private communications network that can only be accessed by authorized users. Using HIPAA-compliant secure texting apps, medical professionals can send and receive messages, images and documents with no risk to the integrity of PHI. Not only is secure texting appropriate for replacing pagers used by nurses, but it can also be used to eliminate the communication of PHI by unsecure channels of communication such as SMS and email. Furthermore, with safeguards in place to prevent PHI from being communicated outside of a healthcare organization´s network, there is little risk of accidental or malicious breaches of the HIPAA Security Rule. Even when a personal mobile device is lost, stolen or sold on, security features within the secure texting solution enable the app to be PIN-locked and any information received on the device to be remotely deleted. TigerConnect’s secure texting solution uses features such as delivery notifications and read receipts to help eliminate phone tag and increase message accountability – thus accelerating the communications cycle. Group messaging features also encourage collaboration between medical professionals in order that decisions regarding patients´ cases are made quicker and – in some cases – more accurately. 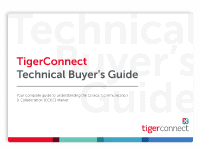 TigerConnect has been replacing pagers used by nurses for more than five years. In that time, our secure texting solution has been implemented in more than 5,000 healthcare facilities with remarkable results. 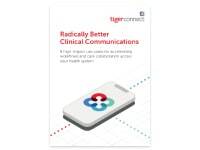 Although primarily implemented to comply with the requirements of HIPAA, TigerConnect has enabled medical professionals to streamline their workflows, spend less time playing phone tag and spend more time attending to their patients. Phone tag was significantly reduced at the Kadlec Regional Care Center once doctors started receiving critical alerts via their Smartphones rather than via a page from a nurse. The Kadlec case study is particularly significant due to the care center´s decision to integrate TigerText with the facility´s EMR. A 2015 report published by the Tepper School of Business at the Carnegie Mellon University demonstrated that, when secure texting solutions are integrated with an EMR, medication errors and patient safety incidents are reduced on average by 30% and 27% respectively. Compared to the cost of maintaining a pager service, the cost of secure texting stands up well. Using data from more than 5,000 medical facilities that have already implemented TigerConnect’s secure texting solution, we calculated that the average cost of replacing pagers used by nurses was less than $5.00 per user, per month. Even in an average-sized medical facility, this would represent a considerable saving. Unlike paging systems, TigerConnect’s secure texting solution operates through an existing cloud-based “Software-as-a-Service” platform and therefore has no set-up costs for hardware or additional servers. Healthcare organizations will not have to dedicate the resources of an entire IT department to install TigerText and, due to the apps’ familiar text-like interface, medical professionals will require minimal training on their use. If the figures quoted by American Nurse Today are correct, two-thirds of nurses are already using personal mobile devices to communicate PHI. With TigerConnect, the major difference between what they are currently doing, and what they will be doing with a secure texting solution, is that they will be communicating PHI in compliance with HIPAA. If you would like to find out more about TigerConnect and the benefits of replacing pagers used by nurses with a HIPAA-compliant secure texting solution, you are invited to contact us and request a free demo of TigerText in action. 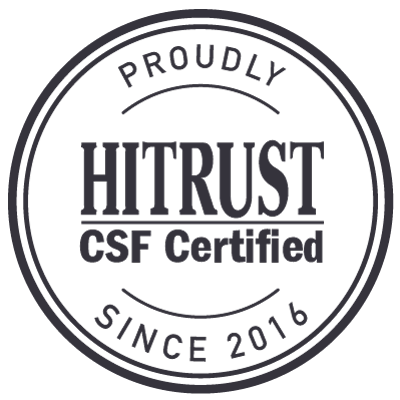 Our team will be happy to answer any questions you may have regarding secure texting and how it can increase productivity in a cost-effective manner.